By now, pretty much all of us know and accept that meditation provides a plethora of benefits, including reduced tension and stress and improved focus and concentration. However, how and why meditation does this has long remained unknown—until now! 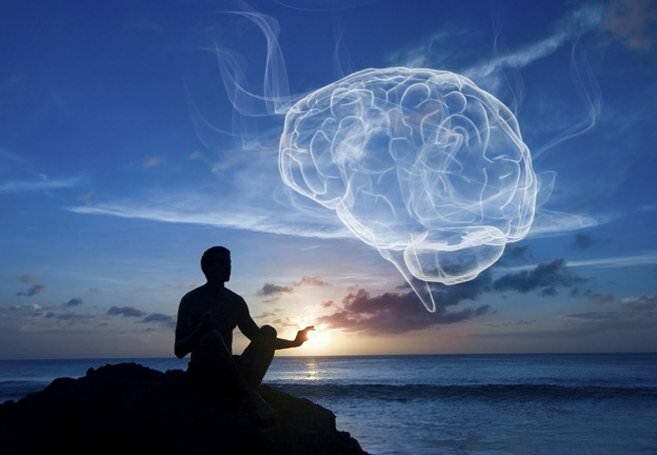 Harvard University scientists have published the results of an 8-week study that used magnetic resonance imaging (MRI) to examine the effects of meditation on the brain. Participants in the study practiced forms of mindfulness meditation every day for approximately 30 minutes. Mindfulness is a meditation style that emphasizes maintaining an objective awareness of sensations, feelings and states of mind. MRIs were taken at the beginning and end of the 8-week study. From the results, researchers determined that meditation literally rebuilds the brain’s gray matter in just 8 weeks—making this the very first study to document that meditation produces this kind of change over time. The changes observed in the meditators were not seen in the control group, signifying that they had not come about naturally over time, but rather that the daily act of meditating had produced them. We know what you’re thinking: what is this mysterious gray matter that meditation is rebuilding? Gray matter is a major component of the central nervous system, and is found in areas of the brain involved in muscle control, seeing and hearing, memory, emotions, speech, decision-making and self-control. Research on the brain has shown that the amount and density of gray matter differs from individual to individual, and can determine or signify certain traits or talents. For example, scientists have found that professional musicians have denser gray matter in the area of the brain involved with processing music. Participants also reported reductions in stress after the 8 weeks, which makes sense, as over the course of the study, the gray-matter density in the amygdala—which is known to play an important role in stress and anxiety—decreased. This study is groundbreaking and empowering in that it shows that we have the power to change the structure of our own brains: to improve our memory and learning capacities, and to become more compassionate and self-aware.